It’s that time of year again – start cracking open those cookbooks and dusting off those pans! This is the one time of the year that I cook twice as much as I normally do. This is also the first year that we are hosting Thanksgiving at our new(ish) house. I am very excited to cook all our family a great Thanksgiving dinner! but I am little concerned about some of the recipes that we will be making. And let me tell ya, buying those weird ingredients that you only use once or twice a year can really add up. So, let me save you some money. All my spices come from either Sprouts or from Whole Foods. Why, you might ask? That’s sounds expensive you might proclaim! BUT they have a bulk foods section. They have every spice you could ever need in big glass jars that you just scoop into little baggies and pay by the ounce for. This is great for the holiday season when you only need 4 tablespoons of pumpkin pie spice and it is also great for trying new things. One of my new favorite recipes is from Thug Kitchen. It is this great FANTASTIC fried rice recipe and it called for Chinese 5 Spice. It’s like $6 a bottle if you buy it prepackaged! but at Sprouts it was only $1.50 for the baggie that we filled and it will last us for months. MONTHS. 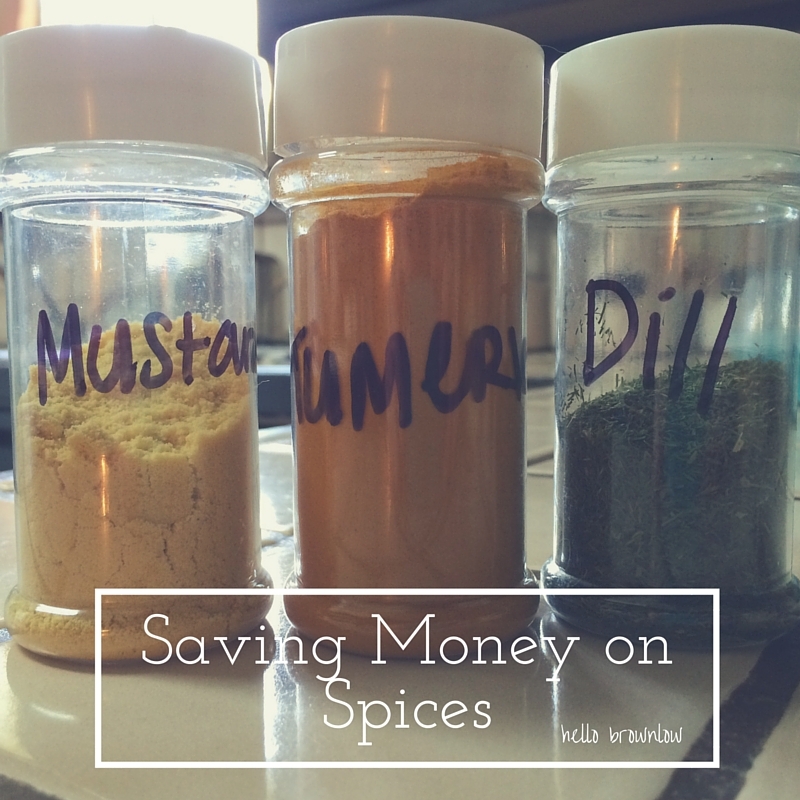 We just pour our bulk spices into clean containers from spices that we ran out of. You can also buy the ones that I use on Amazon. We found this trick out when we transitioned to our vegan diet back in May. There were so many spices we had no idea existed or tasted so delicious. Having the option to only buy a little and not commit to it was fantastic! So, give it a try. It might just open up your world.